Would you like to enable shortcodes inside the gallery descriptions of your galleries? Envira Gallery makes that easy to do after a little customization. Let’s take a look at how to do this! This tutorial is a bit more technical than our other docs, but we’ll walk you through the process step by step. In order to enable the distraction free mode, we’ll need to create and upload a basic WordPress plugin. Will this work on Envira Albums? In your next step, you’ll just need to activate the plugin. 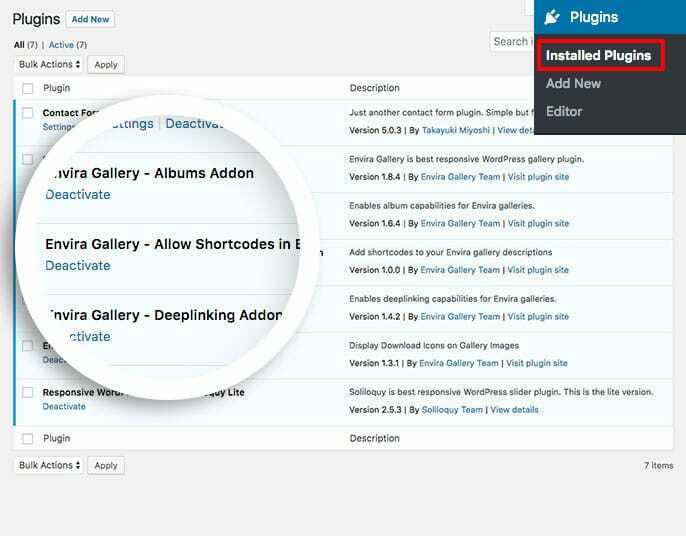 Navigate to the Plugins from within your WordPress dashboard and activate the Envira Gallery – Allow Shortcodes in Envira Gallery Description plugin. For more customization to Envira Gallery, check out how to style image title and caption hover effects. A: Currently this only works for Envira galleries.